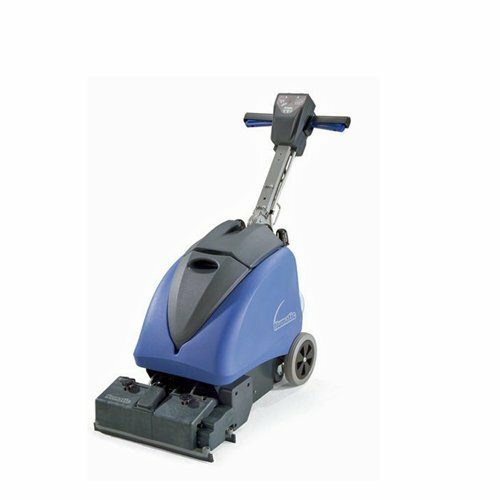 The TTQ1535S cable machine has been expressly designed to be compact, easy to operate and exceptionally manoeuvrable when in use whilst the oversized transit wheels allow easy movement to and from any specific locations. 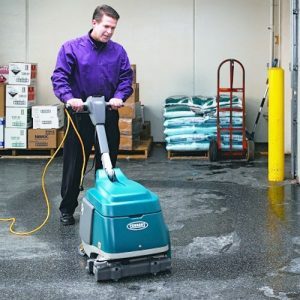 There is an old saying that “small can also be beautiful” and this is particularly true when having to clean floors quickly and effectively in small and sometimes restricted areas. 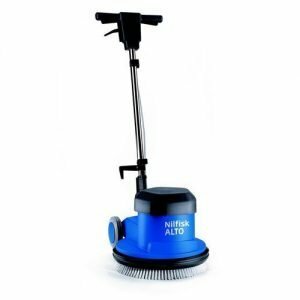 The cylinder power brush ensures deep cleaning performance whilst the twin water pickup nozzles either side of the brush roll permit multidirectional operation which is vitally important when cleaning narrow walkways often found in shops and food stores. 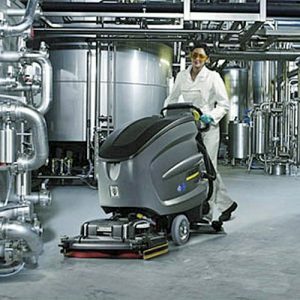 With the TTQ1535S you can walk in forwards and reverse out backwards without turning and without loss of scrubbing and drying performance. 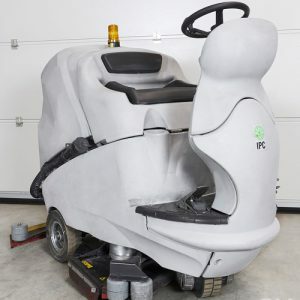 The swing steering system provides another simple innovation that really does improve the versatility of the machine allowing full operator directional control.